In the IT world, Operations refers to a team or department within IT which is responsible for the running of a business’ IT systems and infrastructure. So what kind of activities this team perform on day to day basis? Building, modifying, provisioning, updating systems, software and infrastructure to keep them available, performing and secure which ensures that users can be as productive as possible. Better Uptime: Plan for failover, and design effective DR solutions more cost effectively. If Cloud is the new normal then Automation is the new normal. For this blog post we will focus on automation using AWS CloudFormation. The template I will use for this post for educational purposes only and may not be suitable for production workloads :). AWS CloudFormation provides developers and system administrators DevOps an easy way to create and manage a collection of related AWS resources, including provisioning and updating them in an orderly and predictable fashion. AWS provides various CloudFormation templates, snippets and reference implementations. You can tie this version to a service management or project delivery tools if you wish. You should also put your templates into source control. Personally I am using Github to version my infrastructure code, but any system such as Team Foundation Server (TFS) will do. 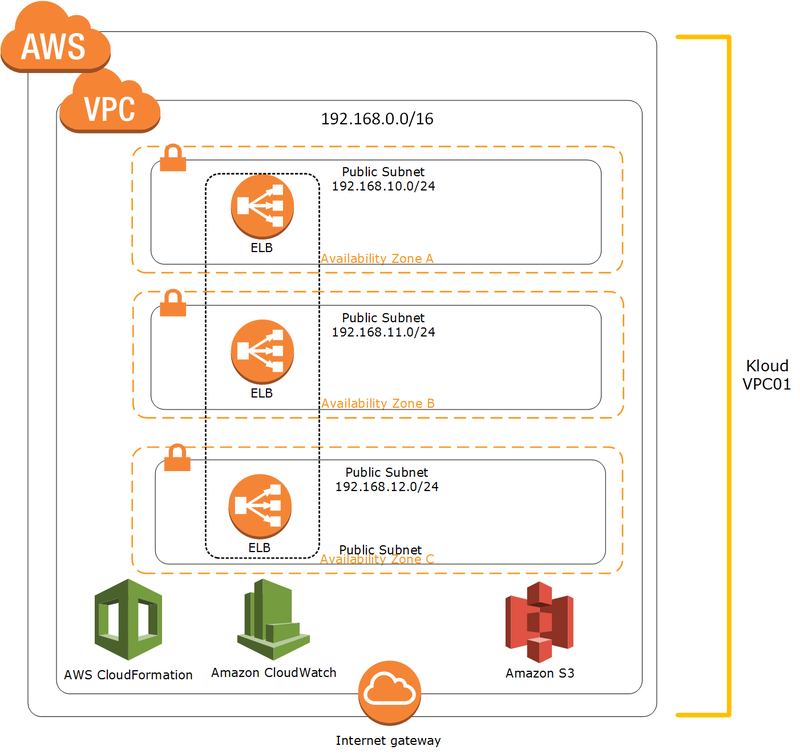 Default Network ACLs to allow all communication inside of the VPC. Below is the CloudFormation template to build the initial stack. AWS CloudFormation is pretty neat and FREE. You only need to pay for the AWS resources provisioned by the CloudFormation template. Note: Not all AWS Resources can be provisioned using AWS CloudFormation and it has the following limitations. In Part 2 we will deep dive further on AWS CloudFormation and automating the EC2 including the configuration for NAT and Bastion Host instance.